I believe we are surrounded by stories, every day of our lives. All we have to do is keep our eyes and ears open, because even the simplest or most mundane events can spark off a new adventure. An adventure we are compelled to re-tell. Speaking to students is something I absolutely love doing. For me, it’s as enjoyable as writing the books themselves. 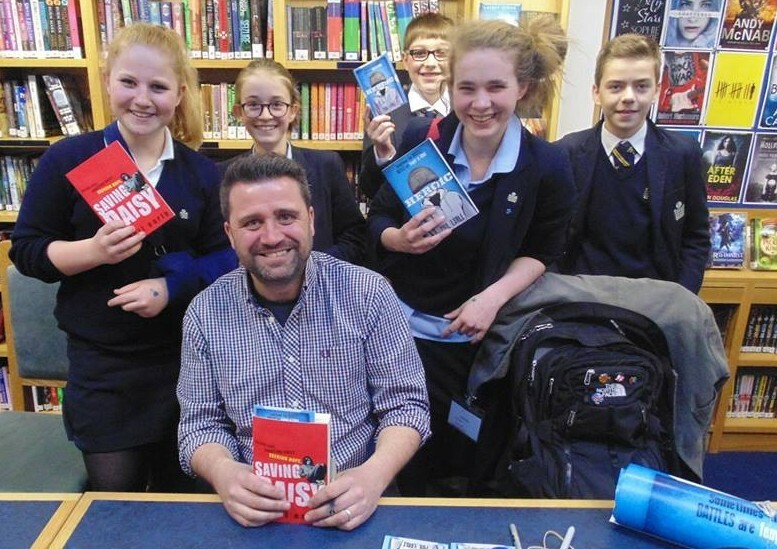 For your pupils it offers the chance to understand how and where I write, what inspired me to start in the first place, and how I put stories together. Hopefully, by the end of it, they’ll feel as enthusiastic about creative writing and literacy as I do. I also love facilitating creative writing sessions with smaller groups of students. It’s a real buzz for them to walk away after an hour with a story of their own creation. If you’d like to know more about my events, or are interested in booking me for your school, college, library or festival, please contact me and I can let you know about fees and availability.